I served as governor of the Pacific Northwest District in 2009-2010. The butterfly logo shown in the above picture is from that year. The butterfly signified change and growth as it emerged from the octagon, a traditional symbol for Optimist International. As governor, it was my goal to inspire adults to do more in their communities through their involvement in an Optimist Club. 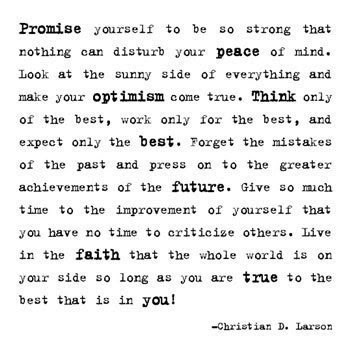 I believed then and I believe now that an Optimist Club brings out the best in its members. It brings people together, from all walks of life, to make their community the best possible place to live. Much of the focus is on youth because the original mission of the founders of the Optimist International organization was to address young boys who were vandalizing and burglarizing their businesses. In fact, "Friend of the Delinquent Boy" served as the organizations tagline for many years until it was changed to "Friend of Youth" in 1972. However, I believe that the real focus of an Optimist Club is the development of its members. By providing social and business networking opportunities along with the opportunity to perform community service projects, an Optimist Club attends to the whole person. It allows one to grow personally and professionally and through the application of knowledgeable compassion an Optimist Club can bring out the best in you. You might ask, what is "knowledgeable compassion?" Let me explain. It's somewhat easy to be compassionate and to care about the needs of others, but that doesn't always make you take action. However, with knowledge, we know where we fit in and how we might make a difference. Knowledge enables us and by practicing knowledgeable compassion within an Optimist Club, we make strategic decisions that allow us to give of ourselves in the most beneficial way. An Optimist Club brings out the best in you because through your involvement you combine your talents with others to make meaningful contributions to your community. It's a bonus that you can grow your business and find friends along the way. Optimist Clubs find not only unmet needs in their communities, but sometimes they identify the unseen needs as well. So it was for the Evening Optimist Club of Albuquerque, New Mexico when member Leland Yates explained to his Optimist Club that as a cross-country bus driver he saw many unhappy children who had to travel at Christmas-time. In order to meet this need in their community, the Optimist Club created Santa's Workshop so that children in transit through their downtown bus and train station would receive a gift bag. According to Leland, families often hit the road, traveling across the country, without any toys or games for their kids. The program has been successful because the train and bus stations help coordinate the space on Christmas Day and other organizations get involved with donations. According to the coordinating committee, this program is growing. They are planning at least 20 additional gift bags this year. Good news, the community is engaged and individuals make contributions to the cause as well. The Optimist Club credits the news stations for helping them to get the word out to the community. Contributors often cite that they were moved to give by the news story. 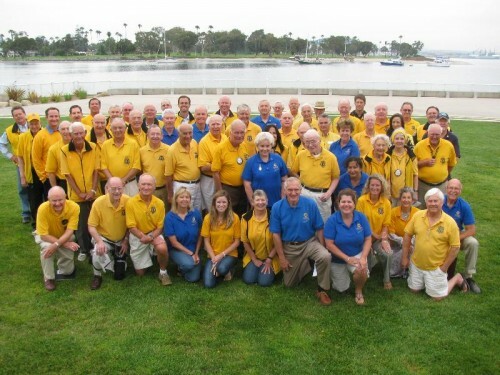 The Optimist Club of Coronado, California will host the 42nd Annual Optimist Sports Fiesta this weekend, July 27-28, 2013. The event includes a 10k run and one-mile ocean swim on Saturday and a triathlon on Sunday for athletes ages 12 and up. Adding to the fun and as a way to involve the whole family, other activities have been added this year. They include golf, diving and sand castle construction. July 20 - 28, Optimist Club members will be at holes 3 and 11 at the Coronado Municipal Golf Course to award a new quality golf ball to golfers who make a required good shot. The diving competition will take place on July 28 the community center pool and is open to all age groups. The sand castle instruction, construction and demonstration takes place at Coronado's North Beach on Sunday. Teams of five are invited to build. All activities except golf have an entry fee attached to them. That tells me that the Optimist Sports Fiesta is a both a fundraiser and a fun raiser. Serving as a great way to help kids be active outdoors, it also helps fund the many youth-serving activities of the Optimist Club year-round. With 110 members, the Optimist Club of Coronado is a patron of its community. Click here to see just some of their beneficiaries. My post today is pretty straightforward. 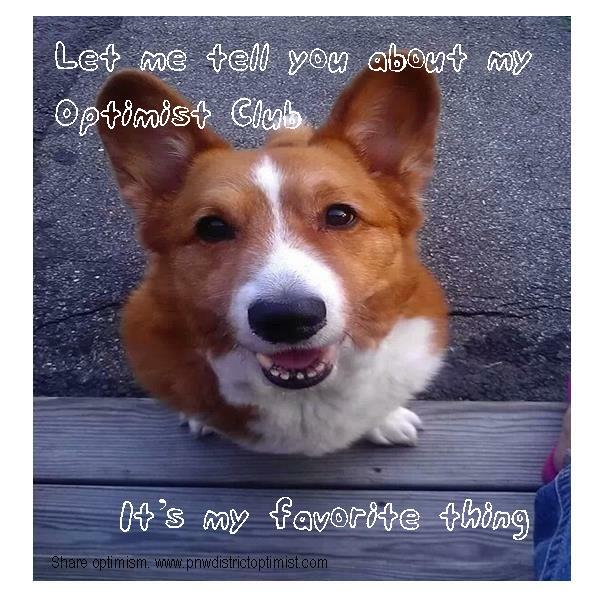 It's to remind Optimist Club members to talk about their Optimist Clubs with enthusiasm. The annual schedule for an Optimist Club is repetitive. The year begins in October. Most clubs will begin to promote the Optimist International Essay Contest, host Youth Appreciation Day in November and then turn their focus to local activities that support the holiday season. In January, clubs will begin to promote the Optimist International Oratorical Contest and Communications Contest for the Deaf and Hard of Hearing. The following month they will begin to plan for Easter Egg Hunts, Bike Safety Fairs, and other programs that they want to hold for children before they go on their summer breaks. Unless you approach each opportunity with enthusiasm. Make it your favorite thing. Speak about it with a smile on your face and ask others to do the same. When you are having fun, others will have fun and they will want to join the cause of bringing out the best in children while making our communities great places to live. Maybe I've come up with a new slogan! What do you think? Optimist Clubs...are my favorite things. Optimist Clubs around the US and especially those in Nebraska are rooting for Team Jack today to win an ESPY award. ESPYS are the awards given by ESPN to recognize outstanding moments in sports that have been filmed in the past year. They had an outstanding moment in Nebraska when 5-year old Jack Hoffman made a touchdown run in a game for the Cornhuskers during the spring. A little over two years ago, Jack was diagnosed with pediatric brain cancer. While undergoing treatment, he became a fan of Nebraska football player Rex Burkhead. Rex, in turn, became a fan of Jack's and was instrumental in organizing a local chapter of Uplifting Athletes to raise funds for his cause. Rex also used Jack's name to lift his teammates spirits when they were down. "Jack's not giving up," said Rex, "and we're not giving up." Late in the evening on April 5, Nebraska director of football operations Jeff Jamrog called the Hoffman residence to see if young Jack wanted to suit-up for the game the following day. The result follows in a dream come true for Team Jack. After its first broadcast, the clip made its way through the talk shows and Jack and Rex were invited to meet President Obama at the White House. Perhaps the fairy tale will end at the ESPYs. Jack's TD run faces such other outstanding moments of the year as Andy Murray, the first Brit to win Wimbledon in 77 years; Alex Morgan scores the winning goal in the Olympic semifinal; and Chuck Pagano's return to the Colts. Outstanding, all, but it's tough to beat a childhood cancer survivor. They're tough and they're optimists. Click here to cast your vote now. Although I am not shocked, I am saddened by the verdict in the George Zimmerman trial. Accused of stalking and shooting Trayvon Martin, a 17-year-old black youth who was visiting his father, on Saturday, July 13, 2013, a jury found Zimmerman not guilty. My sadness comes from the fact that guns and stupidity cannot cohabit. That's right. A country that enables any and all persons to arm themselves and "stand their ground" as Florida law allows, will continue to have tragic outcomes. I fully believe that as a neighborhood watch captain, Zimmerman racially profiled Martin and when the 911 operator told him not to follow the suspect, tapes have clearly shown that he disregarded the request. These two incidents, combined with the fact that Zimmerman was driving around with a gun in his pocket led to Martin's death. We will never know what occurred during the direct confrontation between Zimmerman and Martin and because of that fact, a jury was forced to acquit the man on trial for a youth's untimely and tragic death. However, the world cannot excuse Zimmerman's stupidity. Zimmerman's racist behavior combined with extremist views that guns are needed in order to protect oneself point to a society that is building itself on fear and hatred. If we look at the world with suspicious eyes, we won't be able to see the good when it arrives. And that adds to my sadness. 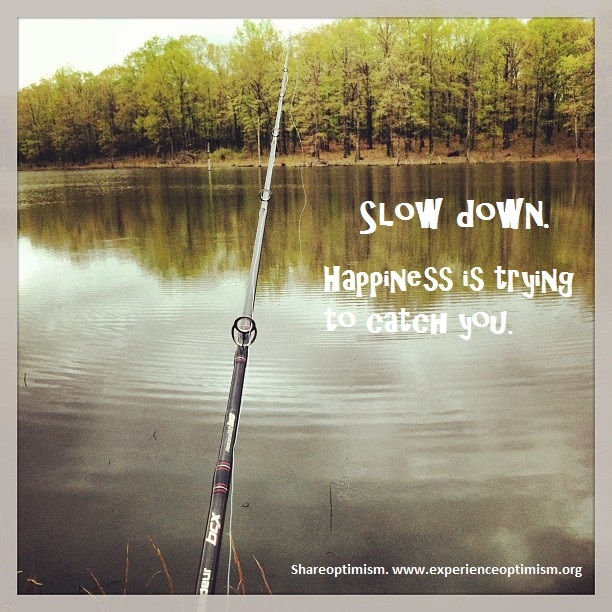 As the author of the Experience Optimism blog, I know there is plenty of good to be seen. From something as simple as donuts that make people happy or quotes that inspire people to live up to their full potential, we have wonderful opportunities to leave a positive impact on the world. In my opinion, guns only detract from the possibilities. Perhaps we should pick up a fishing pole instead. When we teach a kid to fish, we teach patience and wonder that one can feel throughout their life and that is a much better lesson than violence in any form. 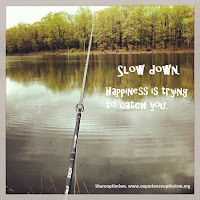 Who knows, with a little luck, that slower, less suspicious pace will leave the space we need to be happy and to just get along. "Krispy Kreme will do in a pinch," explains blogger Kerry Meacham, "but this is a donut so good that it is a tradition." She's talking about the Shelbyville Optimist Club World Famous Horse Show Donuts. 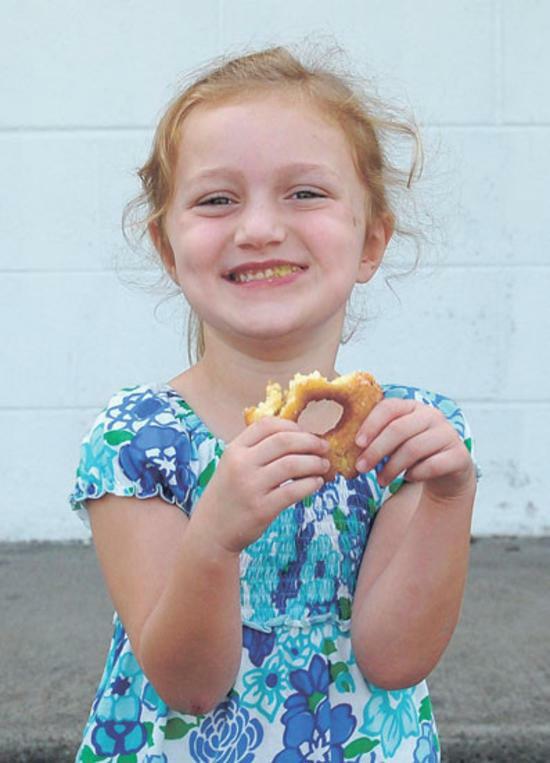 Once a year, as the Tennessee Walking Horse National Celebration is held in late August/early September, the Shelbyville Optimist Club rolls their donut makers out to the fairgrounds to create what sounds like a bite of pure heaven. Part of the tradition of the horse show is the trade fair that takes place at the same time offering local merchants the opportunity to profit from the visitors at the event. According to the marketing director, out state vendors make their way there too, and filling up the booths is a combination of recruitment and luck, but the Optimist Club donuts are a favorite. They never miss. 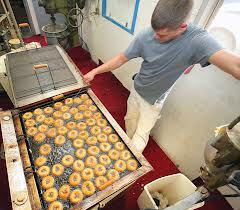 Of course the Optimist Club donuts say more about the community than they have tasty treats. It also says that there are adults working together to make Shelbyville a great place to live. The fundraiser demonstrates that local initiatives are carried out by caring citizens to improve the quality of life for everyone in the community. Maybe the Shelbyville Optimist Club motto should be "with hope and tasty donuts, we bring out the best in kids and our community." Photos courtesy of the Shelbyville Optimist Club. See the Shelbyville Optimist Club World Famous Horse Show Donuts slide show at the Times-Gazette. Fundraisers - big or small - not only help you accomplish your goals, they help create your Optimist Club's identity within your community. 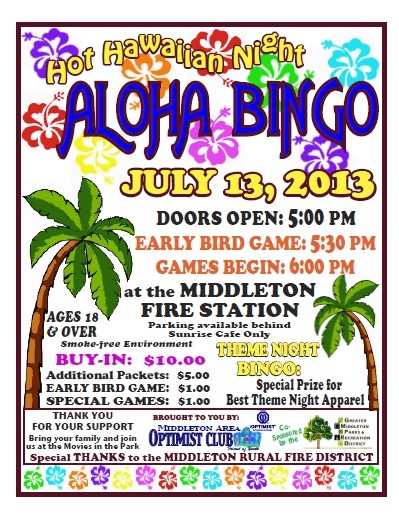 The Middleton Area Optimist Club in Idaho, only three years old, has become known in their community and the PNW Optimist District as the bingo club. Through monthly bingo games, they've raised enough money to host free movies in the park ( now at 10 shows and counting), be a major contributor to the fireworks display in their small town, and support the middle school athletic program at two school districts with tennis equipment. Additionally, they've started a Junior Optimist Club and collaborated with the Middleton Area Parks and Recreation District and the Middleton Fire District to perform a number of programs that needed volunteer participation to come to life. 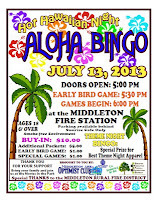 But it's that bingo fundraiser that the are most known for and that's okay with them because through bingo, the Optimist Club mobilizes other people's money to do more for the community. In Jennings, Louisiana, another Optimist Club has become known for its major fundraiser and that's okay with them too. 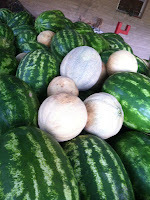 The Optimist Club of Jennings, Inc. is the watermelon club. Throughout the summer, and especially over the 4th of July holiday, they sell watermelons, and few cantaloupe too, to help them fulfill the mission of bringing out the best in youth. Does your Optimist Club have a fundraiser that makes them stand out from others in the community? Tell us about it so we can share the news. 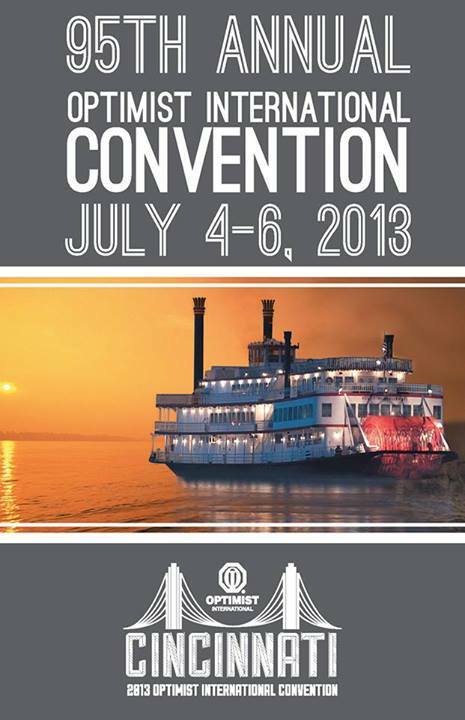 The Optimist International Convention 2013 has come to a close. I watched most of it live via Ustream, but it was not quite like being there in person when the enthusiasm from others can infect you and make you happy about most everything that you see and hear. It's easier to be critical of the production quality, and sadly, the message, from afar. 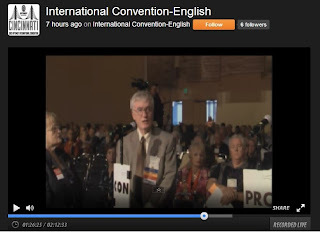 Perhaps it is not very optimistic of me to comment, so please accept my apologies up front if my criticism offends you; but to watch the convention come to a close with a slideshow of random children from around the world without linking them to why they should matter to me or to other Optimist Club members can only be described as an example of a poor public relations strategy. A much stronger ending would have been to show us how Optimist Club members touch the lives of so many in their communities every day. Uploaded to YouTube, such a video could have served double duty as a membership recruitment and retention tool. It's sad to miss opportunities, but that is what happens when there is not a professionally-designed and managed communications plan in place. On a more positive note, I am quite enthralled with 2013-2014 International President Ron Huxley's theme. He plans to lead the organization with "MO." 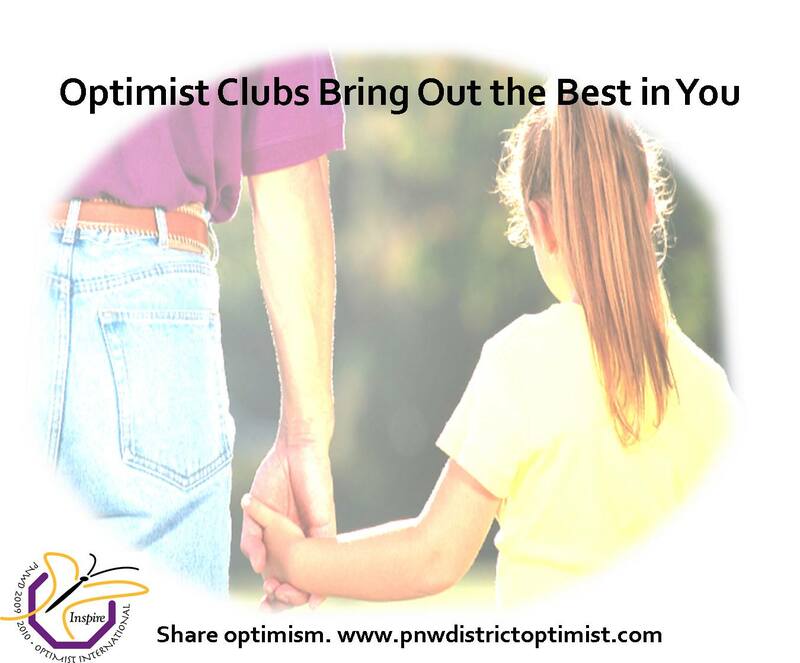 Standing for "My Optimism," President Ron explained that belonging to an Optimist Club means something different to each person. We all have different reasons for continuing our commitment to our clubs and the organization and to recognize such individuality, "MO" will give us the opportunity to share our stories with others. As a social media activist for optimism, I'm looking forward to bringing this theme to life. In other happenings at the Optimist International Convention, I'm happy to report that the amendment to the bylaws that would have started a pilot program for individual membership to Optimist International thereby bypassing Optimist Clubs failed. Perhaps there are more folks like me who know how important it is that Optimist Clubs have a voice in the management and strategic direction of Optimist International. With that knowledge, perhaps we can begin to design a more collaborative future vision, one where Optimist Clubs come first. Please contact me, Linda Vaught Jackson, to share ideas so that we may be involved in designing that vision and working together to make our dreams real. Today I learned about the St. Norbert College Optimist Club in De Pere, Wisconsin because I followed a suggestion on Facebook. Sometimes it's a good thing to follow your friends' recommendations! What I discovered was a busy, medium-sized club that started in 2007. It has some history behind it and theoretically, it has graduated its first members and possibly more. I was impressed to learn that the college had recently awarded the Optimist Club a service award for having the most service projects on campus. That's a group of Optimists for you - always busy, giving their time to help others. One of the club's ongoing fundraisers is the Pulsera Project. This art and commerce project raises money for programs in Nicaragua and focuses on fair trade, education, worker's rights and shelter support for the people of Nicaragua. It also provides micro-loans for a number of different projects including creating the pulsera bracelet. The St. Norbert Optimist Club tells its own story in the following video recap of the year. Watch to see how it served over 2,000 children last year. Please enjoy. Some of my friends, representing different Optimist Clubs around the globe, are checking in on Facebook with their locations today as they head to their ultimate destination: the 95th Optimist International Convention in Cincinnati, Ohio. It will take place July 4-6, 2013. At the convention, new international officers will be selected during a mostly ceremonial election. According to Optimist International bylaws, nominations are not accepted from the floor and the International President-elect and regional Vice Presidents-elect are therefore running unopposed. The Board of Directors, with two seats to fill, will be chosen from a slate of six candidates. While still no nominations may be made from the floor, at least in this category delegates will have a choice to make. Delegates will also muddle their way through 19 proposed amendments to the bylaws. Theoretically, the delegates will have discussed all of these issues with the club that they represent because, as I've said here many times, individuals belong to Optimist Clubs and Optimist Clubs make up Optimist International. Therefore the bylaws should apply to and be approved by Optimist Clubs. Somewhere in the early part of this century, that idea became skewed. The role of international board of directors was invented and a push for individual representation was on. The challenge, and partially why I am not attending this year's convention festivities, is that the focus for Optimist International began moving away from providing benefit to its member constituents (Optimist Clubs) to providing a more public benefit. Through efforts such as the Childhood Cancer Campaign, Optimist International began raising and giving money away to a third party. This year, one of the amendments to be considered allows individual memberships to Optimist International. The need to belong to an Optimist Club will be removed by this pilot program. While I am outraged, the crafters of the proposal say, don't worry, these members won't be allowed to vote. Well, now, isn't that special. If successful, there will be a large portion of members without a voice. If not successful, the organization will have still told its member clubs, we're looking to replace you. What a lose-lose situation for all and, in my opinion, a public relations debacle. Optimist International posted on its Facebook page today that 1,000 persons are registered for the convention. That includes staff, vendors, and family members of registered delegates. That seems like a rather low number although percentage-wise it's probably within acceptable terms. And as I mentioned earlier, I'm one of those who decided not to go. For me, a three-day trip to Cincinnati would have required, due to airline availability out of Boise, four days and at least $2,000. I would have gladly made the trip if I felt that had a real need to be there or if I believed my presence would make a difference. But as I know that communication within the organization is top-down and informational only, I feel shut out. I decided that it was better for me to feel shut out from afar rather than being an island amidst a sea of revelers. Those revelers, Optimist Club members and friends that I enjoy, seem to have somehow forgotten that the purpose of the convention is not social. Social is a benefit, a wonderful benefit; but the purpose of the international convention is to create a forum where member clubs can provide guidance to the organization and generate enthusiasm behind a common purpose. That common purpose is the work of Optimist Clubs. When they realize that, we'll take our organization back to the Optimist Club model – a model where providing local benefit is empowered by the international umbrella. Service clubs are not dead. Optimist Clubs are not dying. They are just being led astray. It's up to caring members to get them back on track. Contact me to learn more.